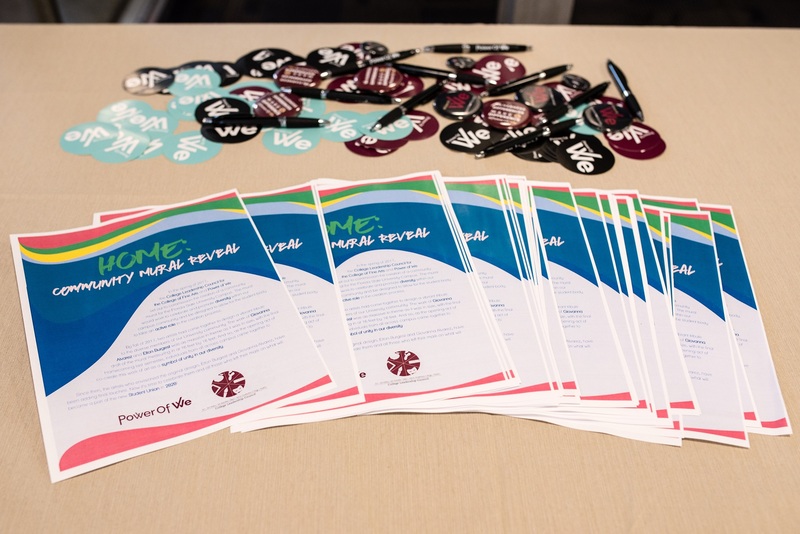 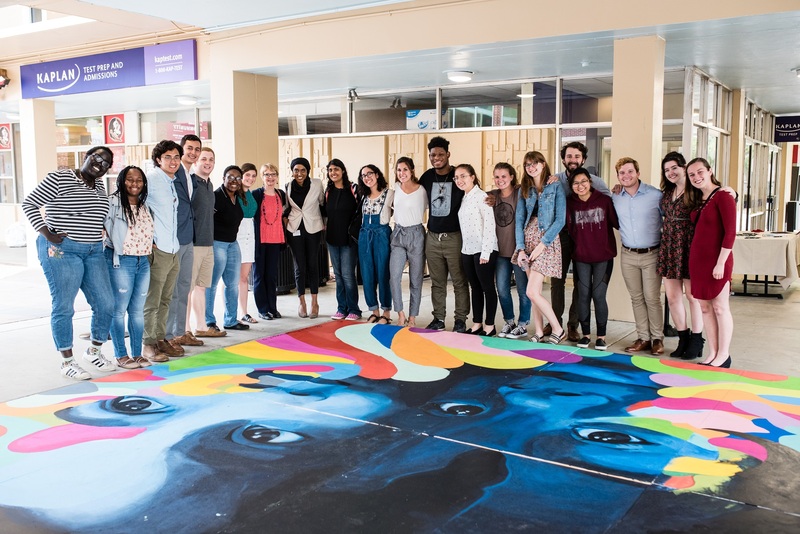 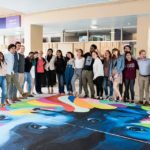 Earlier this month, the CFA College Leadership Council (CLC) collaborated with Power of WE to unveil Home, a FSU Community Mural in Oglesby Union. 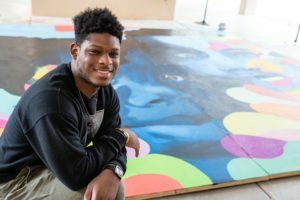 As the opening act of Homecoming last semester, people came together to co-create this work of art as a symbol of unity in our diversity. 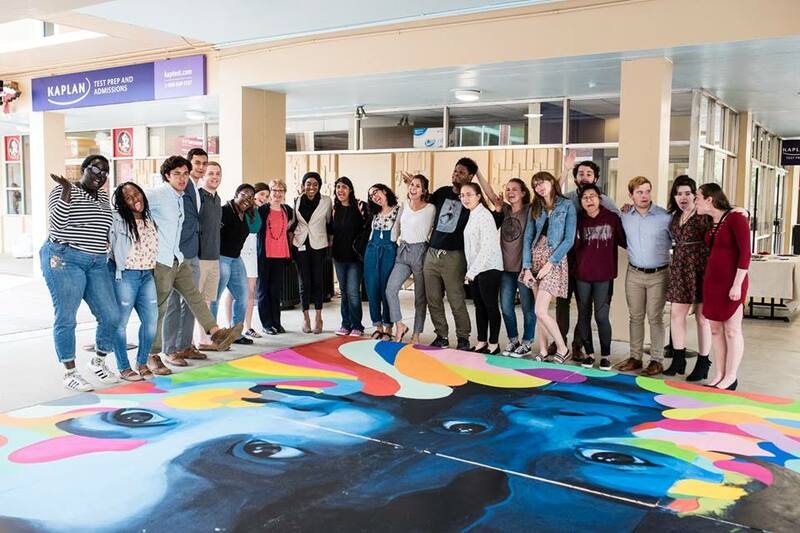 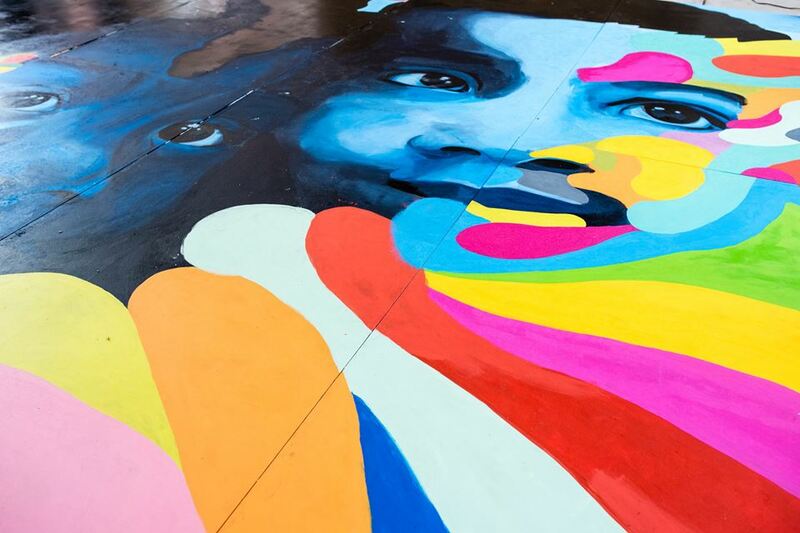 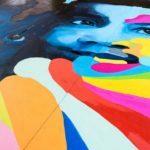 The mural would work to celebrate and promote diversity within our campus community and be designed to allow for the student body to take an active role in the creation process. 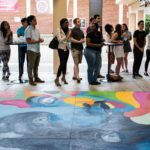 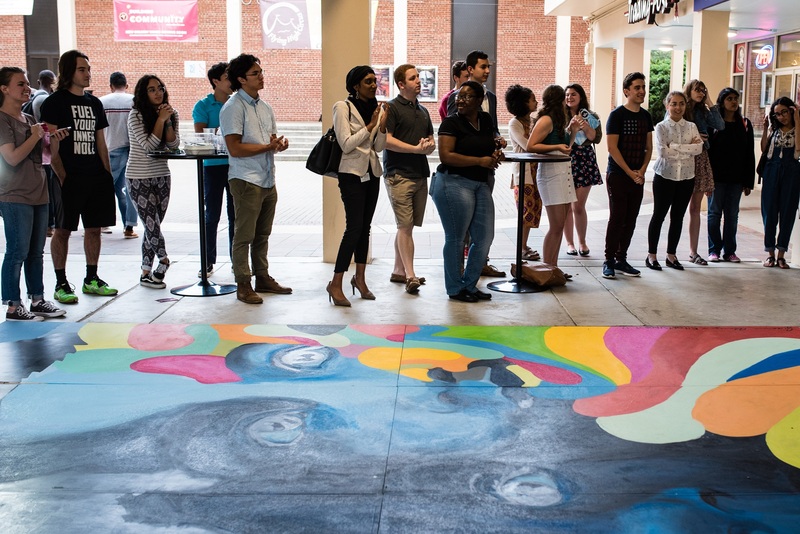 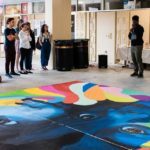 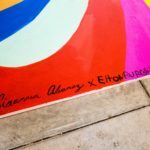 BFA Art students Elton Burgest and Giovanna Alvarez envisioned the original design and members of the FSU community came together to complete the mural. 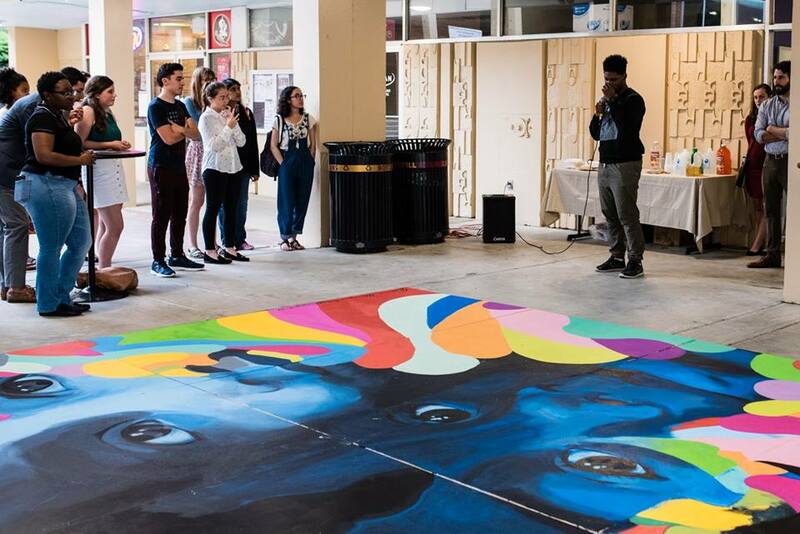 Burgest and Alvarez chose to collaborate on the mural after hearing Power of WE and the CLC were seeking artists for the project. 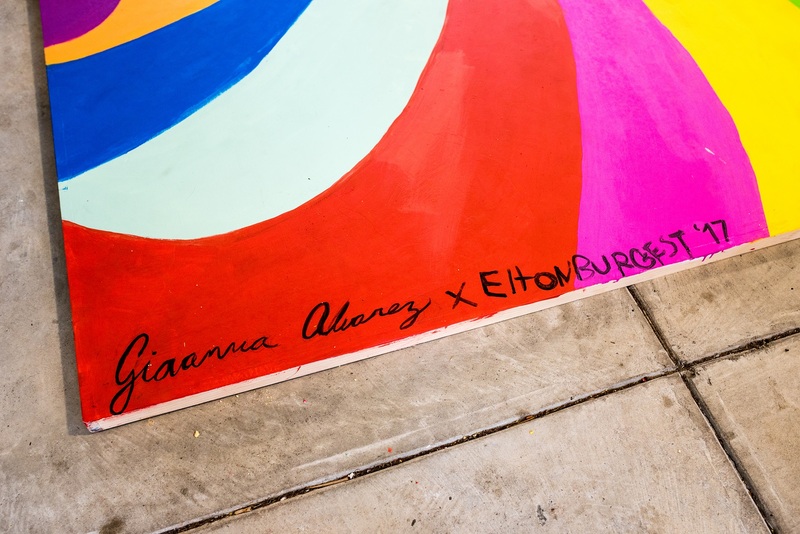 Burgest and Alvarez, as well as each mural participant will be leaving their mark on what will become a part of the new Union in Fall 2020! 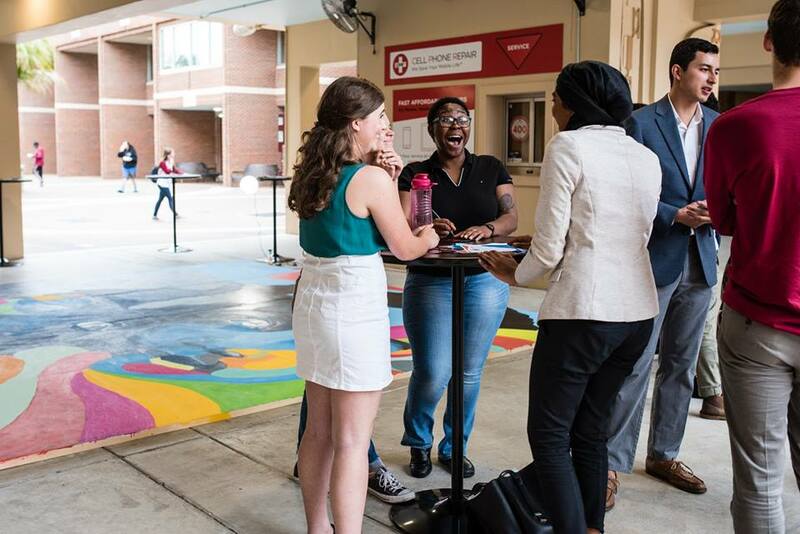 The last events in Oglesy Union took place during the final week of April before construction began. 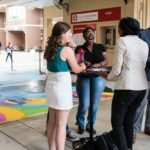 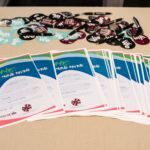 Last Call Before the Wrecking Ball was a series of commemorative events honoring our time in the Oglesby Union and provided students with the opportunity to reminiscence before its closure.